Photos trip Results : 1 photo found for the place Belgium. Enlarge >> The Atomium in Brussels, Belgium. 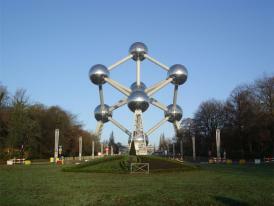 The Atomium is the equivalent of the Eiffel Tower in France and is a true symbol in Belgium. Photos Belgium : powered in 0,07 sec.